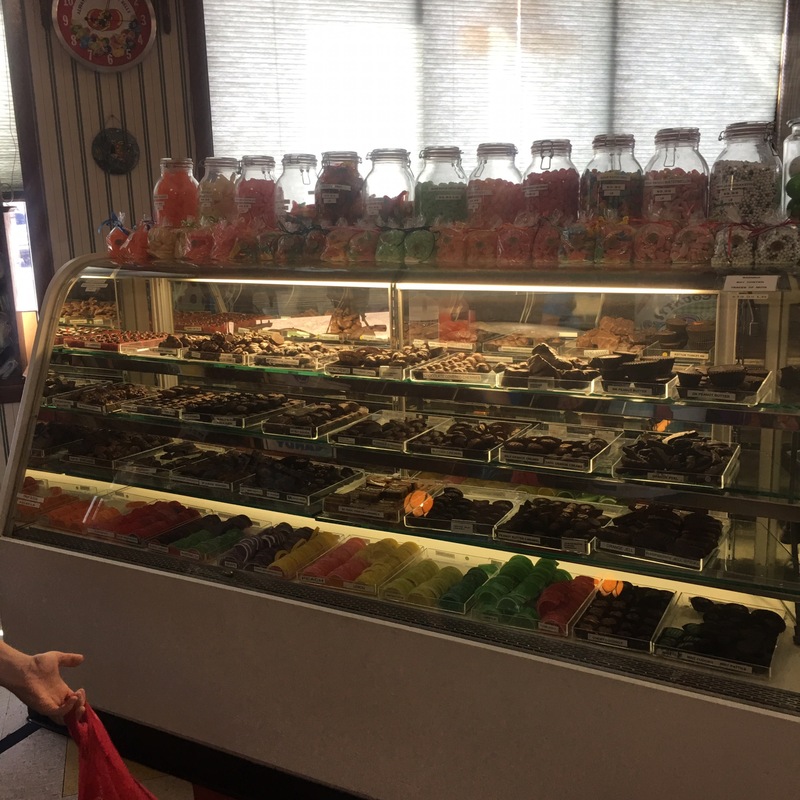 On our trip through South Dakota, we stumbled across an adorable old fashioned candy store. 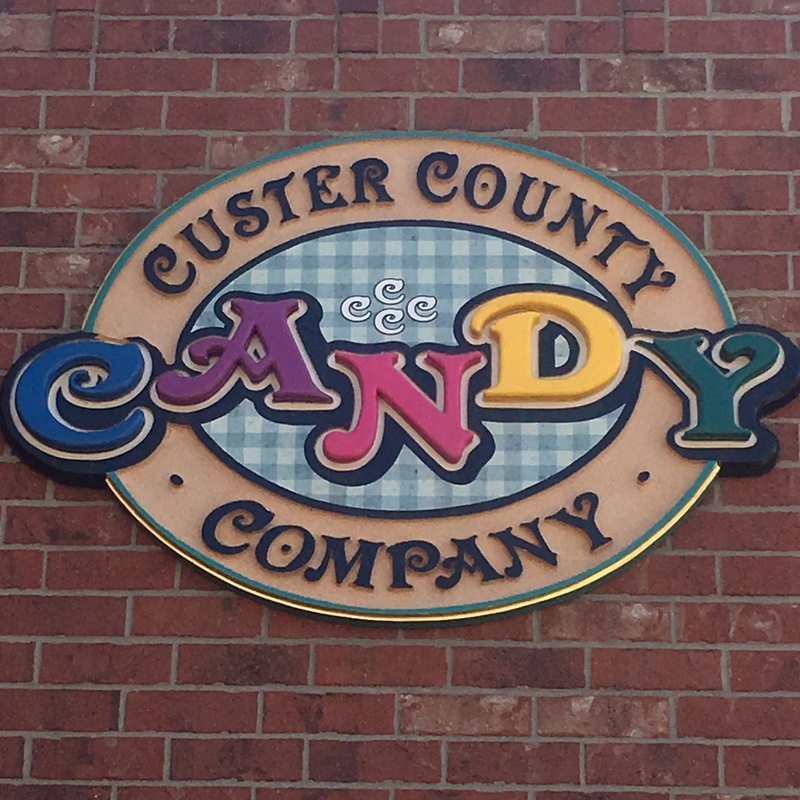 The Custer County Candy Company is located in Custer just a 15 minuted drive from Wind Cave National Park. It’s right off the main drag, tucked back just a little ways off the street. 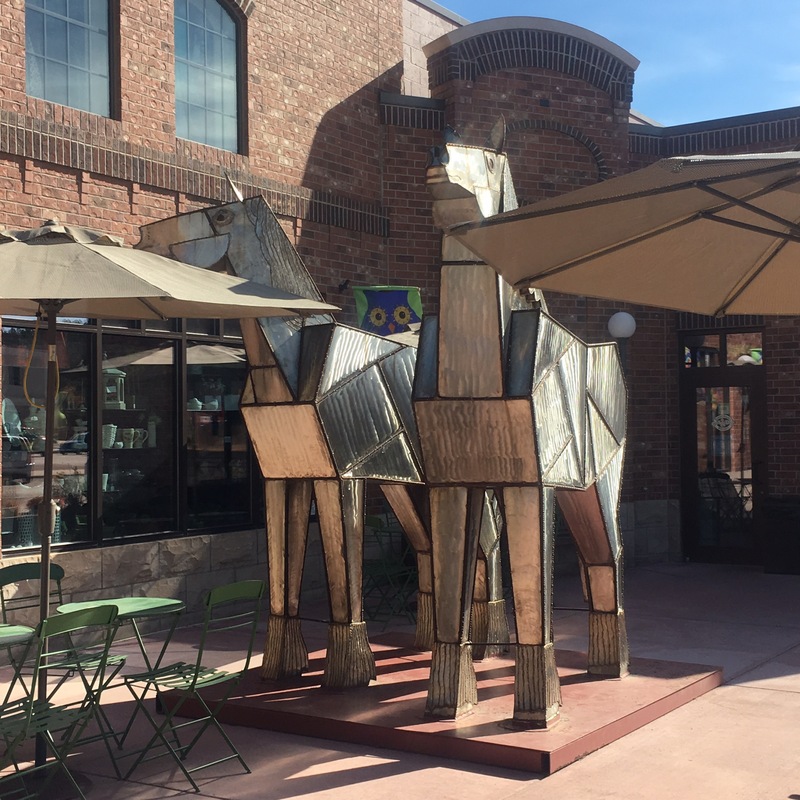 If you see a huge metal sculpture of two horses stop, the candy store is right behind them. First thing I saw when I walked into the store was a massive case of chocolate! So many chocolate candies and truffles that I couldn’t’ decide which one I was going to take home with me. Majority of the chocolates are made right there in the store, by hand! What a treat. Not many candy stores make their own right in the store. The day we stopped in they were making candies with caramel and chocolate. I could have sat there and watched them hand drizzle the caramel all day long. If chocolate is not your thing, no worries. They also have an ice cream case full of delicious flavors. There’s even huckleberry! I fell in love with huckleberry ice cream earlier this year and have not been able to find it anywhere. But they have it at the Custer County Candy Company. 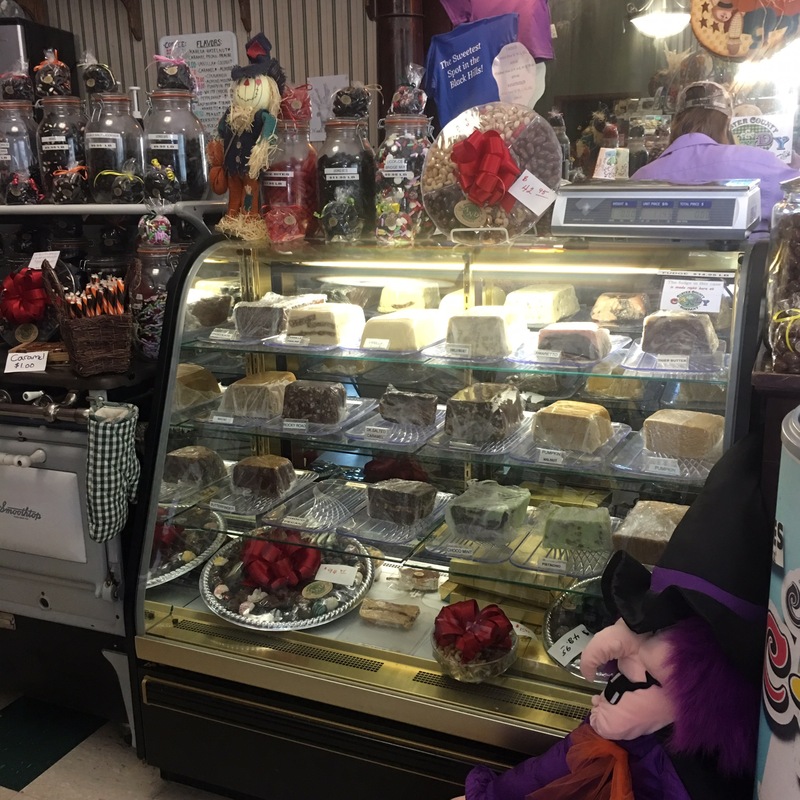 Besides chocolate and ice cream, Custer County Candy Company carries a selection of main stream candy. Peyton picked up a large bag of pop rocks. Little did I know she wanted them so she could eat them in front of her cousin and annoy him with all the popping noises! There are so many choices at the candy store that it’s hard to choose just one treat! But we did control ourselves. Each kid picked out 2 things and I picked out some cotton candy. But there were tons of choices. They even had shelves full of jams, jellies and syrups. Nick nacks? They have them! 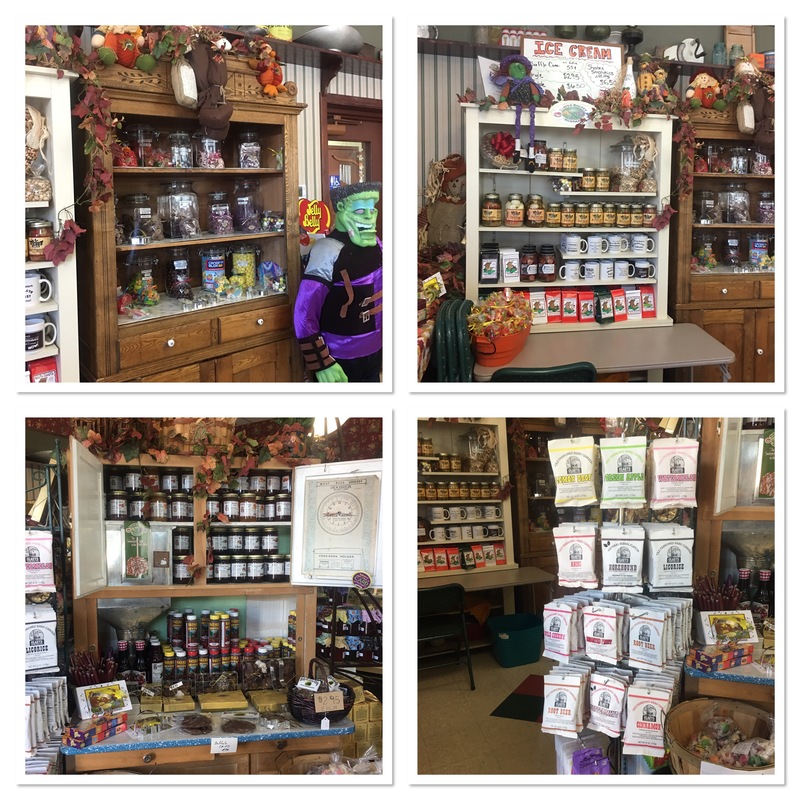 Custer County Candy Company is one of the cutest candy stores we’ve come across on our travels. It’s full of old fashioned charm and delicious treats! I love stores like this! My only problem would be trying not to buy too much!